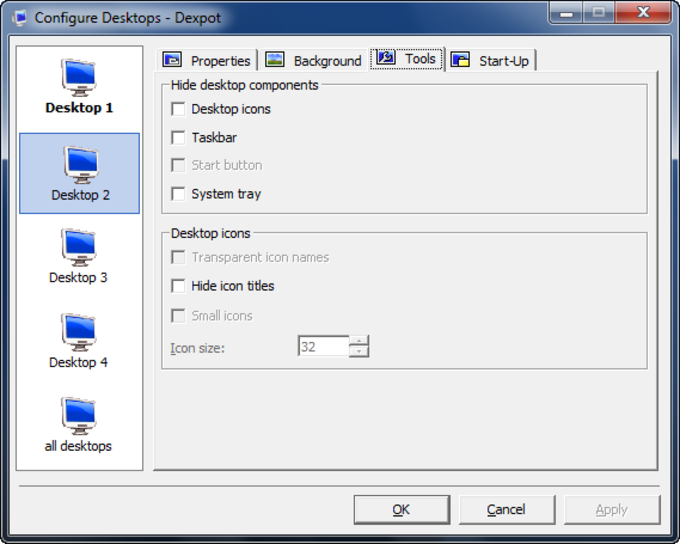 Create up to 20 desktops! 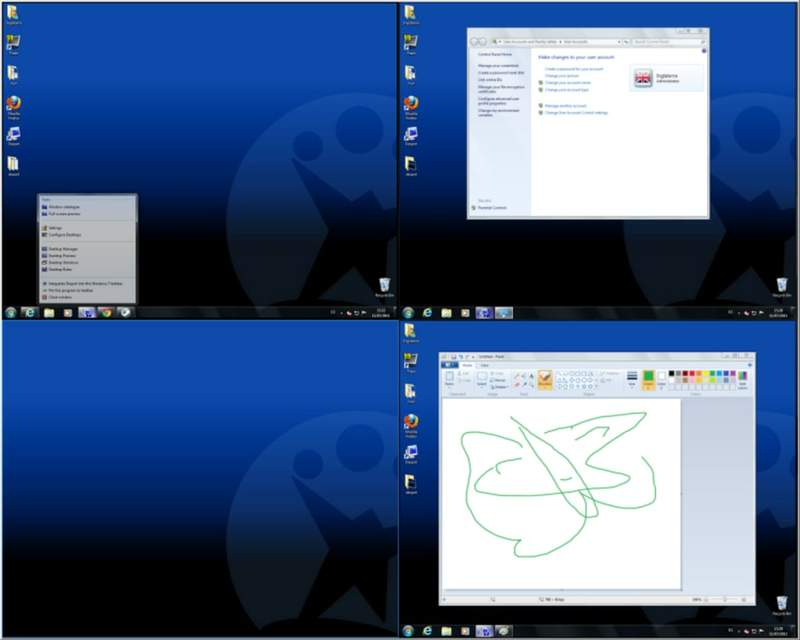 Windows virtualization that's free and portable! So what will virtualization do for you? Well, many people use it as a way of maximizing space and efficiency while undertaking multiple tasks at once. 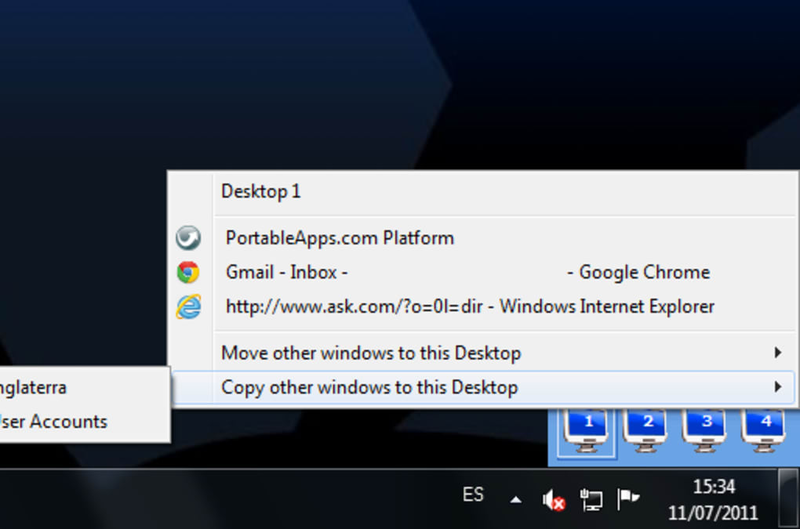 Dexpot does this by allowing you to create various virtual desktops – clones of your normal desktop that are accessed with a simple click. 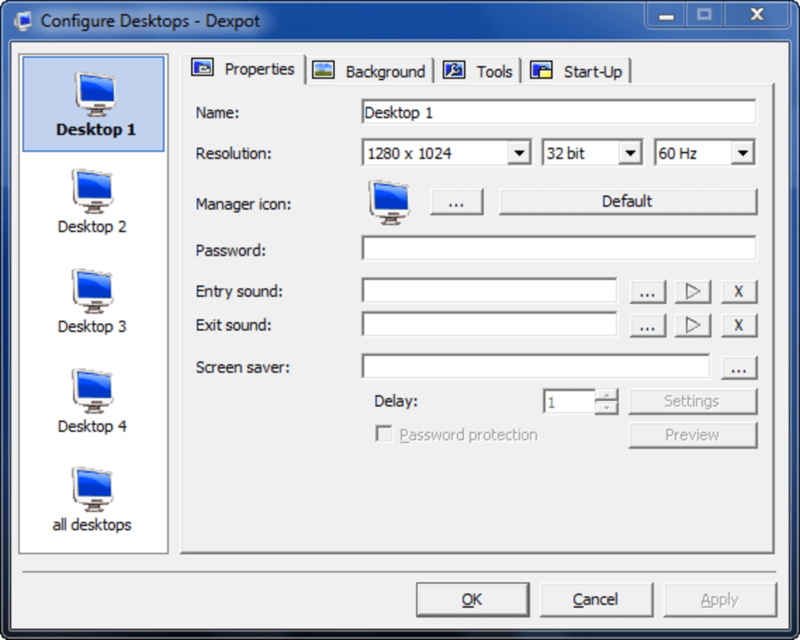 Dexpot allows you to create up to 20 desktops, making it particularly suitable for power users. Imagine you’re trying to edit photos and copy files at the same time. 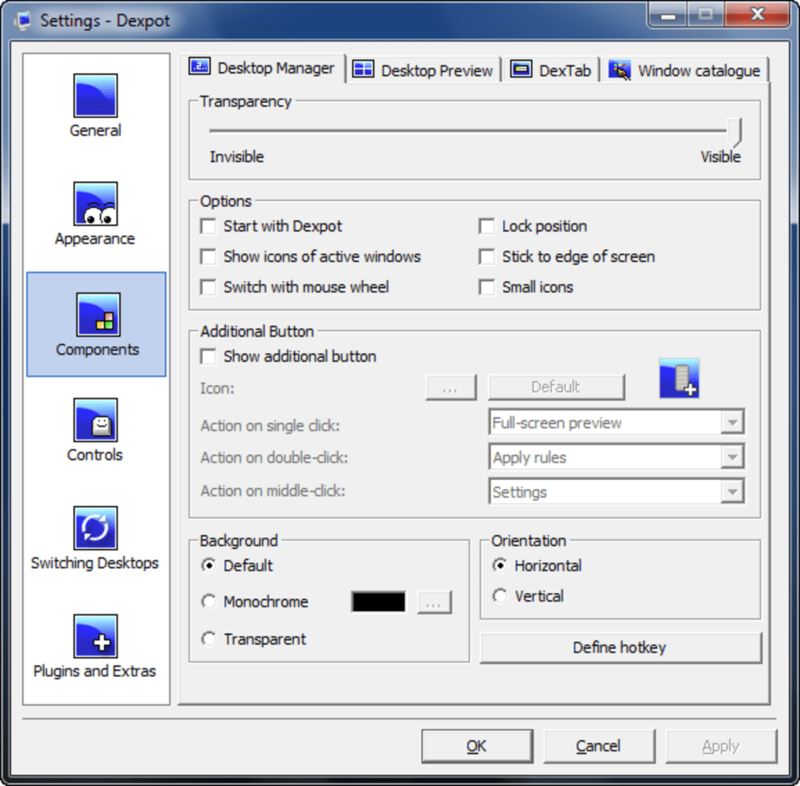 Simply use Dexpot’s configuration to create 2 virtual desktops, do the editing in one, and neatly “file away” the copying to the second, which will be maintained out of sight. 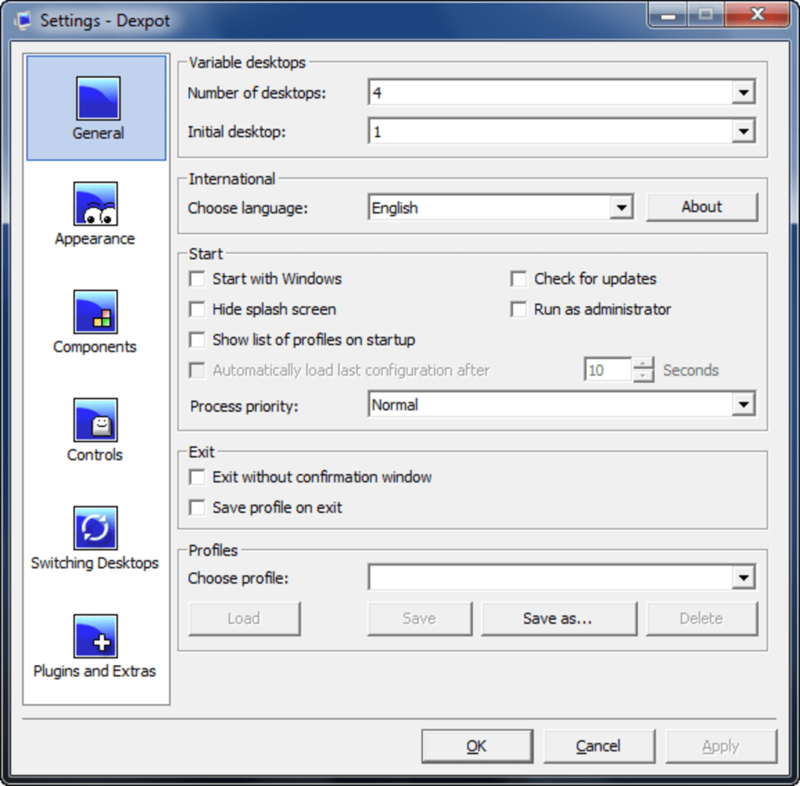 This virtualization app has some great configuration options that make sure each desktop is tweaked just to your liking. 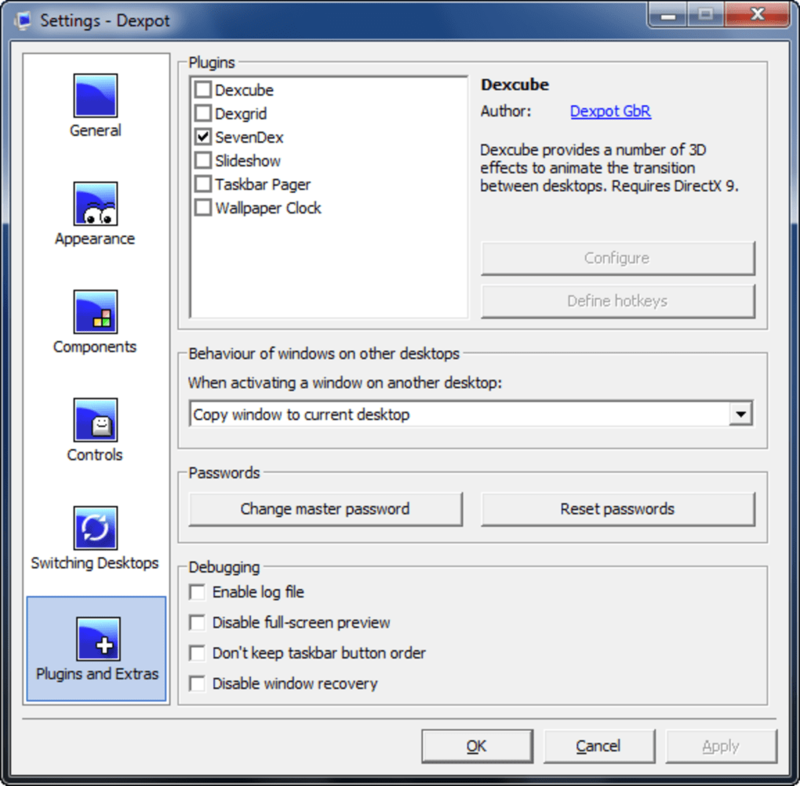 You can change the desktop’s resolution, set a notification for when you come in or out, password-protect it and even customize each desktop’s appearance. 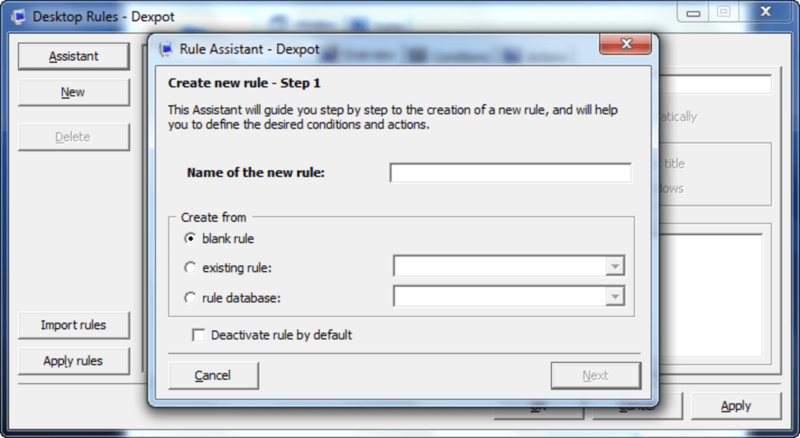 Dexpot also lets you tweak overall options, like how to control and visualize switching between desktops and creating rules for automated behaviors. A lot of thought and attention has obviously gone into Dexpot, meaning that an app that is obviously very useful is also a pleasure to use. We recommend taking a look at the configuration options before you start, and always bear in mind that apps like Dexpot maximize your space, not your memory, so don’t expect it to facilitate any multi-app miracles! 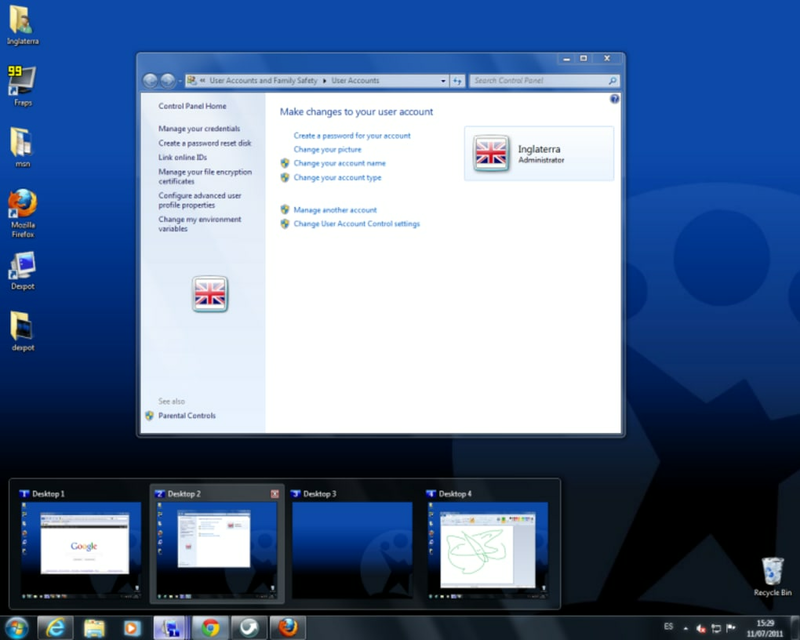 Looking for a desktop virtualization app? 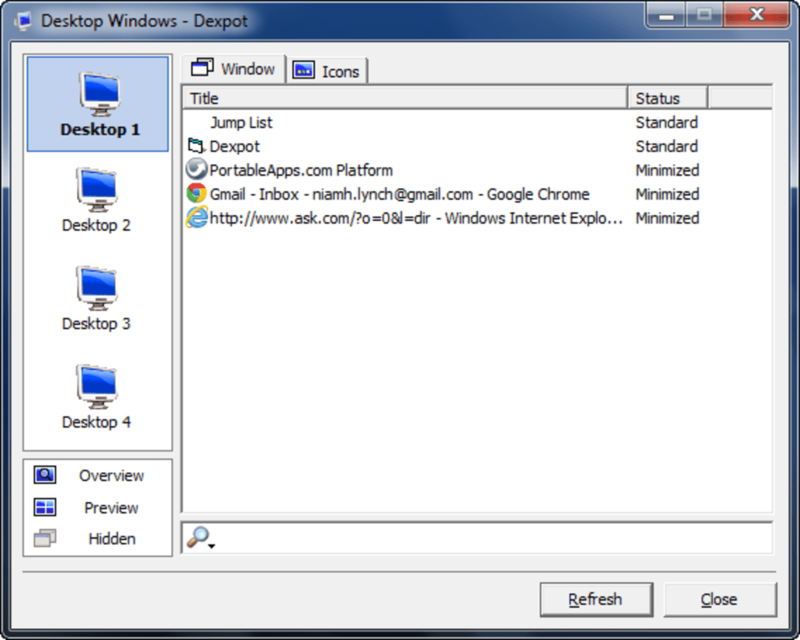 Download Dexpot without delay – it’s fantastic! What do you think about Dexpot? Do you recommend it? Why?